The use of electronics has changed significantly throughout the last several years and there will be no slowing down in the future. Manufacturers continue creating innovative ideas to offer functional products that can help in our day to day lives. Check out a recent report of flexible screens and how they can impact your boating lifestyle. 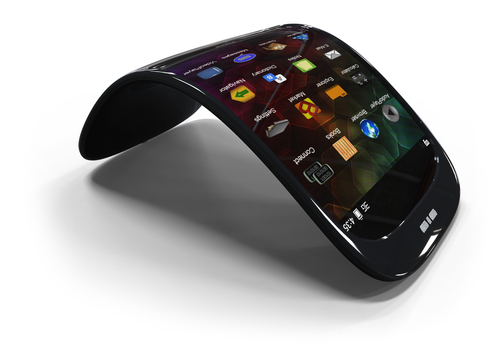 Flexible screens open a new world for electronic displays. New technology doesn’t just appear. It takes years of research, testing, and development to bring ideas and inventions to the real world and even longer to the maritime market. A perfect example is the evolution of battery power. Electric propulsion has been around for a long time, but it took years of research and development to feasibly power electric automobiles and now, larger boats. After years of testing, a new technological advancement makes its debut this year: flexible displays and sensors. Like batteries making advancements on land-based products before taking hold in the maritime market, flexible displays and sensors are reaching consumers through cell phones and tablets, and the technology will undoubtedly make its way to the maritime industry. A few companies have been developing flexible displays over the years, which use the Active-Matrix Organic Light- Emitting Diode (AMOLED) technology. In October 2018, Royole Corporation introduced the world’s first commercial foldable smartphone, FlexPai, which gives users a tablet-size screen that can fold to the size of a smartphone. The high-definition, ultra-thin screen can display as one image or as a split-screen that supports separate, simultaneous operations. Samsung has been developing flexible display technology for about eight years and is set to release its Infinity Flex Display in 2019. It, too, allows a tablet-size screen to fold into the size of a smartphone, but with the use of two separate displays, a large display that unfolds on the inside and a smaller “cover display.” The Infinity Flex Display along with its new interface design, One UI, allows users to have a compact smartphone that unfolds to a larger, immersive display. Whatever you’re doing on the smaller screen isn’t lost when opening to the larger screen as three active apps can work simultaneously. Technology group Heraeus in Germany also is working on foldable displays. They’ve created a hybrid material, Clevios HY E, that consists of conductive polymers and silver nanowires that can fold again and again without losing conductivity. LG has its own flexible displays and plans to unveil their foldable phone this year as well, but the technology really showed when they introduced a 65-inch “rollable” ultra-high definition OLED display. And their latest 77-inch can “roll” into a circle about three feet in diameter. Imagine the room you’d save onboard in the side cabinet without a full, flatscreen TV to hide. Speaking of which, how does this fit in with boating? As mentioned, LG’s flexible TV, expected for release in the second half of this year, not only saves space but also offers a thin, ultra-high definition display that provides incredible picture quality and requires less power. For the helm, flexible displays can bend around the console as one screen. Finding its way to some automobiles, a transparent, augmented reality display could mold with the helm windows to show potential hazards and markers, such as Raymarine’s ClearCruise AR technology. Rollable and foldable displays could unroll into an electronic chart for planning voyages and have routes and navigation warnings superimposed. For cruisers, foldable, portable displays can stay with the helmsman as they move around the yacht for a hands-on connection with navigation and automation controls, alarms, etc. At the 2019 Consumer Electronics Show held January 8-11, Samsung showed its 6.1-inch AMOLED flexible display with a “hole punch camera” embedded into the screen that is expected to launch this spring, and Royole featured its 7.8-inch AMOLED screen that folds in half. LG’s 65-inch rollable TV was introduced and measures slightly longer than 60 inches within a stand that’s half that size, which also includes the sound system. Then there’s the smart mirror that not only reflects but also shows Google Assistant and streams YouTube videos right on the mirror. Obviously, the flexible display technology will go through growing pains as consumers put the products through real-world testing, and it’ll probably take a couple of years to go through a few versions before the technology proves itself and the market embraces it. But with companies like Sony, Huawei, ZTE, and Lenovo also working with flexible displays, the technology is unfolding at a quick pace. For now, costs are high. Royole’s tablet phone is expected to retail at $1,300 and Samsung could be in the $1,700 range, but both will have 5G network capability and use the latest Qualcomm Snapdragon chips. Stay tuned, because the latest concepts are well on their way to reality, and 2019 looks to be an exciting year for new electronics. Original article published on southernboating.com.